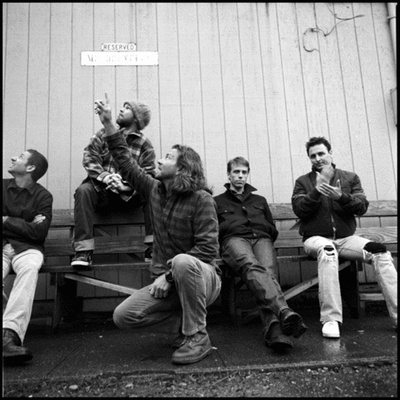 Pearl Jam is an American rock band that formed in Seattle, Washington in 1990. Since its inception, the band's line-up has included Eddie Vedder (lead vocals, guitar), Jeff Ament (bass guitar), Stone Gossard (rhythm guitar), Mike McCready (lead guitar), and drummer Matt Cameron, who has been with the band since 1998. Formed after the demise of Ament and Gossard's previous band Mother Love Bone, Pearl Jam broke into the mainstream with its debut album Ten.